L'il Dee's Crafting with a Kitten: Sneak Peek! This has been a very busy week for me. Three classes, garage sale and work I really only had one day off. I haven’t had much time to get in my studio and do anything. I really need to get started on my Valentine cards. I am also working on three new classes for March & April. The first is a spring themed card class. They will have a variety of greetings. I will have a few other greeting stamps available so people can choose a different greeting if they want. Here is a sneak peek at the first card. 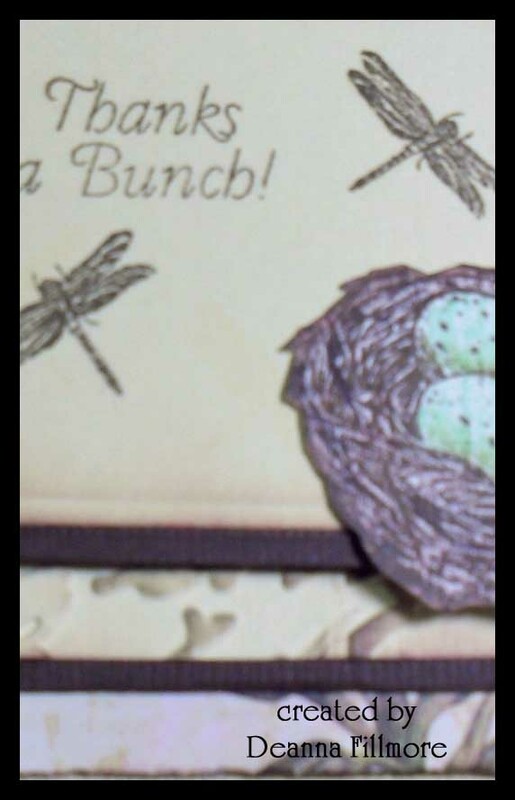 The patterned paper is from the Basic Grey Curio Line. I got my new set of spellbinders yesterday and I plan to use it a lot for this card class. I will post the whole card at a later date. Well I guess I better get back to work. I will post more previews just as soon as I have them. Thanks for stopping by!